"Barbeş" redirects here. For other uses, see Barbes (disambiguation). Vergina (Greek: Βεργίνα, Vergína [verˈʝina]) is a small town in northern Greece, part of Veroia municipality in Imathia, Central Macedonia. 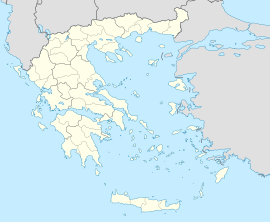 Vergina was established in 1922 in the aftermath of the population exchanges after the Treaty of Lausanne and was a separate municipality until 2011, when it was merged with Veroia under the Kallikratis Plan. It is now a municipal unit within Veroia, with an area 69.047 km2. 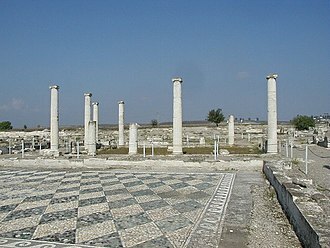 Vergina is best known as the site of ancient Aigai (Αἰγαί, Aigaí, Latinized: Aegae), the first capital of Macedon. It was there when in 336 BC Philip II was assassinated in the theatre and Alexander the Great was proclaimed king. The ancient site was discovered in 1976 and excavated under the leadership of archaeologist Manolis Andronikos. The excavation unearthed the burial sites of many kings of Macedon, including the tomb of Philip II, father of Alexander the Great, which, unlike so many other tombs, had not been disturbed or looted. It is also the site of an extensive royal palace. The archaeological museum of Vergina was built to house all the artifacts found at the site and is one of the most important museums in Greece. The existence of an early Macedonian fortress named Aegae is reported by Justin, and was long identified as Edessa. The discovery in 1976 of substantial remains near Vergina, just east of the Haliacmon, shifted the scholarly consensus to the effect that Aegae is to be identified with this site. Ancient sources give conflicting accounts of the origins of the Argead dynasty. 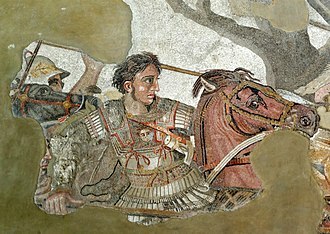 Alexander I is the first truly historic figure and, based on the line of succession, the beginnings of the Macedonian dynasty have been traditionally dated to 750 BC. Herodotus says that the Argead dynasty was an ancient Greek royal house led by Perdiccas I who fled from Argos, in approximately 650 BC. 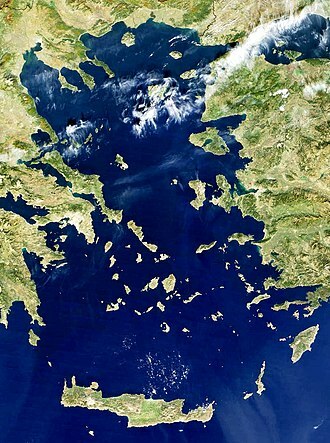 Aigai is the name of several ancient cities (see Aegean Sea#Etymology), derived from the name of a legendary founder, Aegeus, but also etymologized as "city of goats" (from αἴξ, aíks, "goat") by Diodorus Siculus, who reports it was named so by Perdiccas I who was advised by the Pythian priestess to build the capital city of his kingdom where goats led him. From archaeology it now seems certain that Aigai developed and remained until the end an organised collection of villages spatially representing the aristocratic structure of tribes centred on the power of the king. Indeed, Aigai never became a large city and most of its inhabitants lived in surrounding villages. From Aigai the Macedonians spread to the central part of Macedonia and displaced the local population of Pierians. From 513 to 480 BC Aigai was part of the Persian Empire, but Amyntas I managed to maintain its relative independence, avoid Satrapy and extend its possessions. The city wall was built in the 5th century, probably by Perdiccas II. 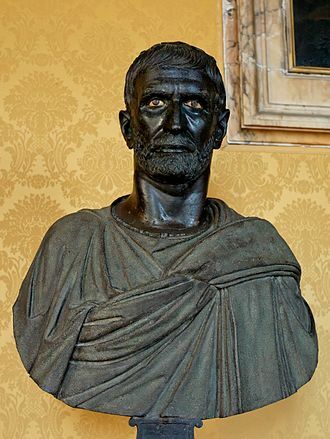 At the end of the 5th century Archelaus I brought to his court artists, poets, and philosophers from all over the Greek world: it was, for example, at Aigai that Euripides wrote and presented his last tragedies. At the beginning of the 4th century BC, Archelaus transferred the Macedonian capital north-east to Pella on the central Macedonian plain. Nevertheless, Aegae retained its role as the sacred city of the Macedonian kingdom, the site of the traditional cult centres, a royal palace and the royal tombs. For this reason it was here that Philip II was attending the wedding of his daughter Cleopatra to King Alexander of Epirus when he was murdered by one of his bodyguard in the theatre. His was the most lavish funeral ceremony of historic times held in Greece. Laid on an elaborate gold and ivory deathbed wearing his precious golden oak wreath, the king was surrendered, like a new Hercules, to the funeral pyre. 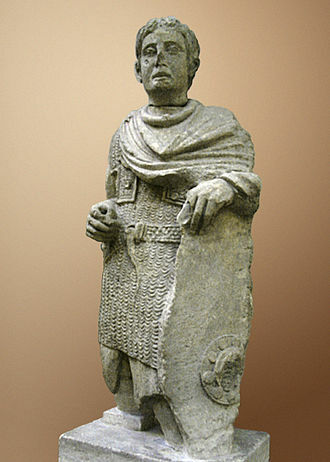 The bitter struggles between the heirs of Alexander in the 3rd century adversely affected the city; in 276 BC Gaulish mercenaries of Pyrrhus plundered many of the tombs. After the overthrow of the Macedonian kingdom by the Romans in 168 BC, both old and new capitals were destroyed, the walls pulled down and all buildings burned. In the 1st century AD, a landslide destroyed what had been rebuilt (excavations establish that parts were still inhabited at that time. Between the 2nd and 5th centuries AD the population gradually moved down from the foothills of the Pierian range to the plain, and all that remained was a small settlement whose name alone Palatitsia (palace) indicated its former importance. The modern settlement of Vergina was established in 1922, between the two pre-existing villages of Kutleš (Κούτλες, Koútles) and Barbeš (Μπάρμπες, Bármpes), formerly part of the Ottoman Beylik of Palatitsia. 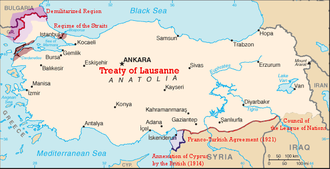 The town was settled in the course of the population exchange between Greece, Bulgaria and Turkey following the Treaty of Lausanne, by Greek families from Bulgaria and Asia Minor. The name Vergina was a suggestion by the metropolitan of Veroia, chosen for a legendary queen Vergina (Bergina) who was said to have ruled somewhere north of the Haliacmon and to have had her summer palace near Palatitsia. Vergina was a separate municipality from 1922 until 2011, when it was incorporated into Veroia. The population of Vergina municipality as of 2011 was 2,464, of whom 1,242 lived in Vergina proper. Archaeologists were interested in the burial mounds around Vergina as early as the 1850s, supposing that the site of Aigai was in the vicinity. Excavations began in 1861 under the French archaeologist Leon Heuzey, sponsored by Napoleon III. Parts of a large building that was considered to be one of the palaces of Antigonus III Doson (263–221 BC), partly destroyed by fire, were discovered near Palatitsa, which preserved the memory of a palace in its modern name. However, the excavations had to be abandoned because of the risk of malaria. The excavator suggested that this was the site of the ancient city Valla, a view that prevailed until 1976. In 1937, the University of Thessaloniki resumed the excavations. More ruins of the ancient palace were found, but the excavations were abandoned on the outbreak of war with Italy in 1940. After the war the excavations were resumed, and during the 1950s and 1960s the rest of the royal capital was uncoved including the theatre. 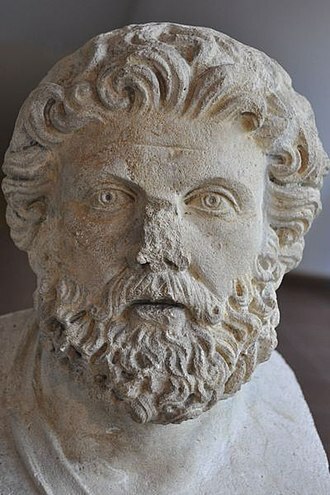 The Greek archaeologist Manolis Andronikos became convinced that a hill called the Great Tumulus (Μεγάλη Τούμπα) concealed the tombs of the Macedonian kings. In 1977, Andronikos undertook a six-week dig at the Great Tumulus and found four buried tombs, two of which had never been disturbed. Andronikos claimed that these were the burial sites of the kings of Macedon, including the tomb of Philip II, father of Alexander the Great (Tomb II) and also of Alexander IV of Macedon, son of Alexander the Great and Roxana (Tomb III). This view was challenged by some archaeologists, but in 2010 research based on detailed study of the skeletons, vindicated Andronikos and supports the evidence of facial asymmetry caused by a possible trauma of the cranium of the male, evidence that is consistent with the history of Philip II. More recent research by a team of Greek researchers has confirmed that the bones indeed belong to the Macedonian King Philip II. From 1987 the burial cluster of the queens was discovered including the tomb of Queen Eurydice. In March 2014, five more royal tombs were discovered in Vergina, possibly belonging to Alexander I of Macedon and his family or to the family of Cassander of Macedon. Some artifacts excavated at Vergina may be treated as influenced by Asian practices or even imported from Achaemenid Persia in late 6th and early 5th centuries BC, which is during the time Macedon was under the Persian sway. The museum of the tumulus of Philip II, which was inaugurated in 1993, was built over the tombs leaving them in situ and showing the tumulus as it was before the excavations. Inside the museum there are four tombs and one small temple, the heroon built as the temple for the burial cluster of Philip II. The two most important tombs (II and III) were not sacked and contained the main treasures of the museum. Tomb II of Philip II, the father of Alexander was discovered in 1977 and was separated in two rooms. The main room included a marble chest, and in it was the larnax made of 24 carat gold and weighing 11 kilograms, embossed with the Vergina Sun symbol. Inside the golden larnax the bones of the dead were found and a golden wreath of 313 oak leaves and 68 acorns, weighing 717 grams. In the room were also found the golden and ivory panoply of the dead, the richly carved burial bed on which he was laid and later burned and exquisite silver utensils for the funeral feast. Other magnificent items include several gold-adorned suits of armour, weapons and bronze funeral utensils. In the antechamber was another chest with another golden larnax containing the bones of a woman wrapped in a golden-purple cloth with a golden diadem decorated with flowers and enamel, indicating a queen (probably Philip's Thracian wife, Meda) who by tradition sacrificed herself at the funeral. Also included was another burial bed partially destroyed by the fire and on it a golden wreath representing leaves and flowers of myrtle. Above the Doric order entrance of the tomb is a magnificent wall painting measuring 5.60 metres representing a hunting scene, believed to be the work of the celebrated Philoxenos of Eretria, and thought to show Philip and Alexander. Next to him in Tomb I a distinctive member of his family (probably Nikissipoli, another of his queens), was buried just a few years before in a cist grave, found unfortunately plundered. The only wall painting in the tomb pictures the Abduction of Persephone by the God of the Underworld, the silent Demeter and the three unprejudiced Fates with Hermes, the Guide of Souls, leading the way, and a scared nymph witnessing the horrifying event. This is a unique example of ancient painting, believed to be the work of the famous painter Nikomachos, as well as one of the few surviving depictions of the ancient mystic views of afterlife. In 1978 Tomb III was discovered, also near the tomb of Philip, which is thought to belong to Alexander IV of Macedon son of Alexander the Great, murdered 25 years after Philip's assassination. It is slightly smaller than the tomb II and was also not sacked. It was also arranged in two parts, but only the main room contained a cremated body. On a stone pedestal was found a fine silver hydria, which contained the cremated bones, and on it a golden oak wreath. There were also exquisite silver utensils and weaponry indicating royal status. 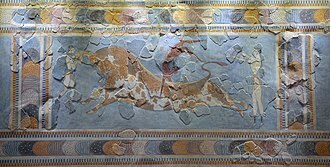 A narrow frieze with a chariot race by a great painter decorated the walls of the tomb. The remains of a wooden mortuary couch adorned with gold and ivory is notable for an exquisite representation of Dionysos with a flute-player and a satyr. Tomb IV, discovered in 1980, had an impressive entrance with four Doric columns though is heavily damaged and may have contained valuable treasures. 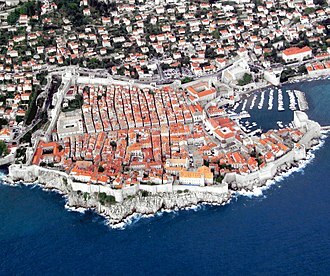 It was built in the 4th century BC and may have belonged to Antigonus II Gonatas. The great tumulus was constructed at the beginning of the third century BC (by Antigonos Gonatas) perhaps over smaller individual tumuli to protect the royal tombs from further pillaging after marauding Galati had looted and destroyed the cemetery. The hill material contained many earlier funeral stele. The most important building discovered is the monumental palace; located on a plateau directly below the acropolis this building of two or perhaps three storeys is centred on a large open courtyard flanked by Doric colonnades. On the north side was a large gallery that commanded the stage of the neighbouring theatre and the whole Macedonian plain. It was sumptuously decorated, with mosaic floors, painted plastered walls, and fine relief tiles. Excavations have dated construction of the palace to the reign of Philip II, even though he also had a palace in the capital, Pella. This huge building was visible from the whole Macedonian basin; a remarkable landmark, a symbol of power and beauty. This unique building, utterly revolutionary and avant-garde for its time, was designed for Philip by an ingenious architect (probably Pytheos, known for his contribution to the construction of the Mausoleum at Halicarnassus and to the development of urban planning and the theory of proportion) would become an archetype of all basileia (kingdoms), i.e. the palaces in the Hellenistic world and beyond. The masonry and architectural members, all artfully processed, were covered with lustrous high-quality marble stucco that resembles marble and reminds us of Vitruvius's description of the plaster used in Mausolus's palace that shined as if made of glass. The theatre, also from the second half of the 4th century BC, forms an integral part of the palace. The palace is considered to be not only the biggest but, together with the Parthenon, the most significant building of classical Greece. The cemetery of the Tumuli[clarification needed] extends for over 3 km and has the Cemetery of the Tumuli[clarification needed] at its heart containing over 300 grave-mounds of significant wealth and density, some as early as the 11th century BC. To the north-west of the ancient city is the important group of tombs from the 6th and 5th centuries BC belonging to members of the Macedonian dynasty and their courts. The Cluster of the Queens includes cist and pit tombs dating to the Greco-Persian Wars era, two of which probably belong to the mother and spouse of Alexander I: the all golden “Lady of Aigai” and her female relative, in whose funeral at least twenty-six (26) small terracotta statues. One from around 340 BC with an imposing marble throne is identified as that of Eurydice, mother of Philip II. 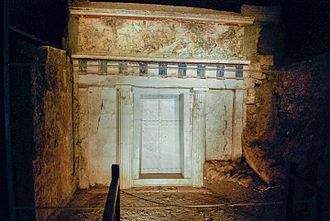 The so-called "Ionian Tomb" or "Tomb of the Roman" is an elegant Macedonian tomb containing a throne, probably belonging to queen Thessalonike. ^ John V. A. Fine, The Ancient Greeks: A Critical History; Harvard University Press (1983), 605f. ^ Hammond, Nicholas Geoffrey Lemprière; Griffith, Guy Thompson (1972). A History of Macedonia: Historical Geography and Prehistory I. Oxford, United Kingdom: Clarendon Press. ^ Ring, Trudy (1996). 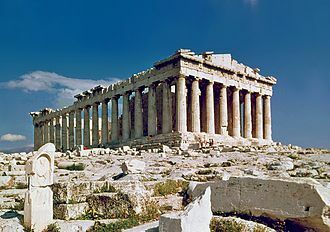 International Dictionary of Historic Places: Southern Europe. Taylor & Francis. p. 753. ISBN 1-884964-02-8. 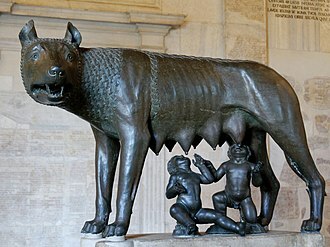 ^ Sikeliotis, Diodoros or Diodorus Siculus 80-20 B.C., Historical, 7.16: " and then/Where thou shalt see white-horned goats, with fleece/Like snow, resting at dawn, make sacrifice/Upon the blessed gods upon that spot/And raise the chief city of a state." 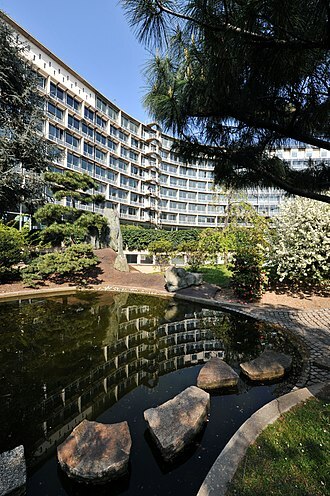 ^ a b "Timeline – Museum of Royal Tombs of Aigai -Vergina". www.aigai.gr. Retrieved 16 July 2018. ^ "Aigai: The royal metropolis of the Macedonians – Multimedia". Latsis Foundation. Retrieved 16 July 2018. ^ Roisman, Joseph (December 2010). A Companion to Ancient Macedonia. Wiley-Blackwell. p. 156. ISBN 978-1-4051-7936-2. ^ "LacusCurtius • Diodorus Siculus — Book XVI Chapters 66‑95". penelope.uchicago.edu. Retrieved 16 July 2018. ^ Alexander Eliot, The Penguin Guide to Greece (1991), p. 291. ^ M. Andronikos,"Anaskafi sti Megali Toumpa tis Verginas" Archaiologica Analekta Athinon 9(1976), 127–129. ^ Bartsiokas, Antonis (21 April 2000). "The Eye Injury of King Philip II and the Skeletal Evidence from the Royal Tomb II at Vergina". Science. 288 (5465): 511–514. doi:10.1126/science.288.5465.511. PMID 10775109. Retrieved 16 July 2018 – via science.sciencemag.org. ^ Bristol, University of. "2010: Vergina Tomb II - News - University of Bristol". www.bris.ac.uk. Retrieved 16 July 2018. ^ Roisman & Worthington 2011, p. 345. ^ a b "Αιγές (Βεργίνα) – Museum of Royal Tombs of Aigai -Vergina". www.aigai.gr. Retrieved 16 July 2018. ^ "Αιγές (Βεργίνα) – Museum of Royal Tombs of Aigai -Vergina". www.aigai.gr. Retrieved 16 July 2018. Drougou S., Saatsoglou Ch., Vergina: Reading around the archaeological site, Ministry of Culture, 2005. Wikimedia Commons has media related to Vergina. 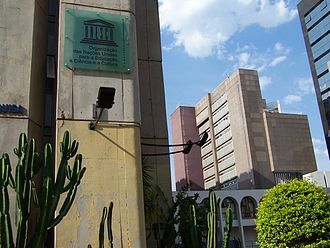 Information at the official site of the Ministry of Culture. The Pythia, was the name of the High Priestess of the Temple of Apollo at Delphi who served as the oracle, commonly known as the Oracle of Delphi. 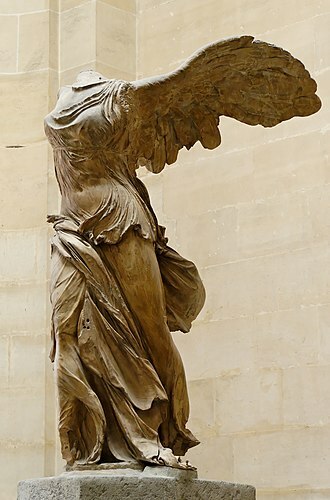 The name Pythia is derived from Pytho, which in myth was the name of Delphi. Pythia was the House of Snakes, the Pythia was established at the latest in the 8th century BC, and was widely credited for her prophecies inspired by being filled by the spirit of the god, in this case Apollo. The Pythian priestess emerged pre-eminent by the end of 7th century BC, during this period the Delphic Oracle was the most prestigious and authoritative oracle among the Greeks, and she was without doubt the most powerful woman of the classical world. The oracle is one of the religious institutions of the classical Greeks. Nevertheless, details of how the Pythia operated are missing as authors from the classical period treat the process as common knowledge with no need to explain and those who discussed the oracle in any detail are from 1st century BC to 4th century AD and give conflicting stories. 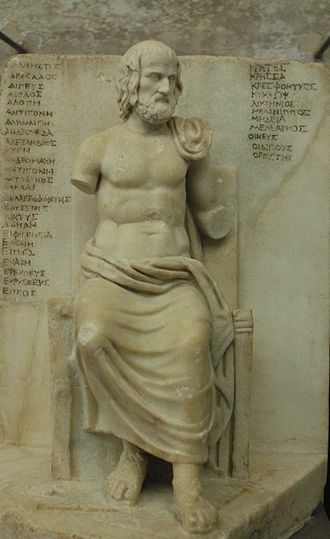 Herodotus, writing in the fifth century BC describes the Pythia speaking in dactylic hexameters, the 8th-century reformulation of the Oracle at Delphi as a shrine to Apollo seems associated with the rise in importance of the city of Corinth and the importance of sites in the Corinthian Gulf. The earliest account of the origin of the Delphic oracle is provided in the Homeric Hymn to Delphic Apollo, which recent scholarship dates within a narrow range, c. It describes in detail how Apollo chose his first priests, whom he selected in their swift ship, but Apollo, who had Delphinios as one of his cult epithets, leapt into the ship in the form of a dolphin. Dolphin-Apollo revealed himself to the terrified Cretans, and bade them follow him up to the place where you will have rich offerings. The Cretans danced in time and followed, singing Iē Paiēon, paean seems to have been the name by which Apollo was known in Mycenaean times. 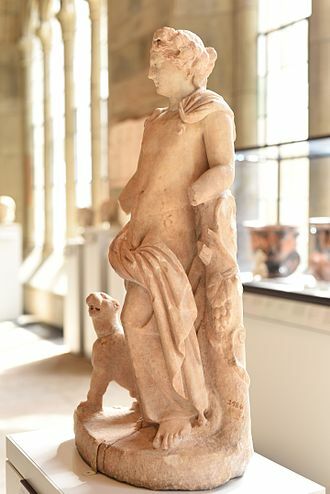 G. L. Huxley observes, If the hymn to Apollo conveys a historical message, an early visitor to these dells of Parnassus, at the end of the eighth century, was Hesiod, who was shown the omphalos. Coinage of Aegae towards the end of the reign of Amyntas I, under Achaemenid Macedonia, circa 510-480 BC. Goat kneeling right, head reverted; pellet above and before / Quadripartite incuse square. The bridge (1352 m.) over the artificial lake Polyfytos of the river Aliakmonas near Servia. 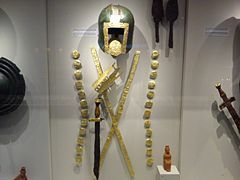 The Golden Larnax, at the Archaeological Museum of Vergina, that contains the remains of King Philip II.